Senior advocate Shekhar Naphade, appearing for the petitioner, told the bench that the high court had imposed a "blanket ban" on the media in the case. 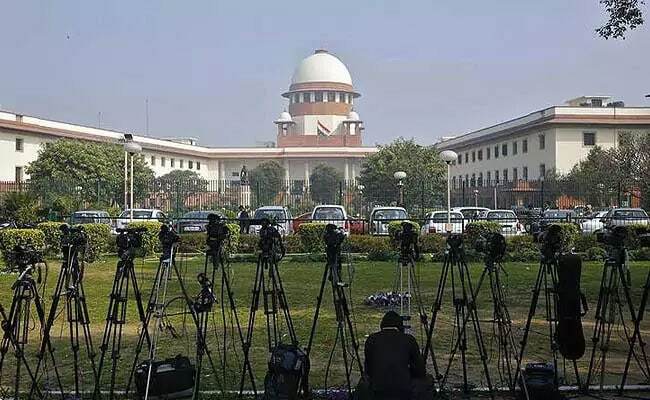 The press should "draw a line" and strike a balance as media trial of cases cannot be allowed, the Supreme Court said Tuesday while hearing the Muzaffarpur shelter home case in which several women were allegedly raped and abused. 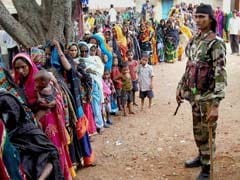 The top court, which was dealing with a plea challenging a Patna High Court order restraining the media from reporting on the investigation into the Muzaffarpur shelter home case, said the issue was not "simple". "It is not such a simple matter. The media goes to one complete extreme at a point. There has to be a balance. You cannot say whatever you feel like saying. You cannot have media trials. Tell us where to draw the line," a bench of Justices Madan B Lokur and Deepak Gupta said. The top court issued notices to the Bihar government and the CBI, which is probing the case, on the petition and sought their replies by September 18, the next date of hearing. The top court said the direction asking the amicus to interview the women was "totally in conflict" with its earlier order, by which it had asked the media not to interview these minor girls. "This direction (asking the amicus to interview the women) is stayed. This is totally in conflict with our earlier order. So it has to be stayed," the bench said. During arguments, Mr Naphade said the high court's order restraining the media from reporting on the investigation was in conflict with the top court's direction. The bench told Mr Naphade that he would have to assist the court in the matter. When the senior lawyer said there should not be any ban on the media, the bench said "we will see it on September 18." Over 30 girls were allegedly raped at the shelter home run by Brajesh Thakur, the chief of a state-funded NGO. The alleged sexual exploitation of the girls was first highlighted in an audit report submitted by the Tata Institute of Social Sciences (TISS) to the state's social welfare department. The plea, which has sought a stay on the operation of the high court's August 23 order, has alleged that the order was "patently erroneous" as it amounted to imposing a "blanket ban" on the media reporting in the shelter home case. The plea in the top court has said that because of the media reporting in the Muzaffarpur case, boys at a juvenile home at Arrah in Bihar had gathered courage and complained to their parents about the physical and sexual abuse going on there. The top court had earlier taken cognisance of the incident after a letter was written by Patna resident Ranvijay Kumar highlighting the issue of repeated interviews of the alleged victims of the Muzaffarpur shelter home being published and aired.